Sicily, Italy’s largest Island with a land mass of 25,708 km2, is nestled in the Mediterranean Sea circled by a number of delectable islands, including the fashionable Aeolian isles. Hosting extensive beaches along the coasts, authentic little fishing villages, unspoilt hills and mountains, along with Europe’s largest active volcano – Etna, Sicily has a multitude of abundant natural landscapes. Budget airlines fly to Palermo, Catania and Comiso or travel by ferry boat from Naples on Italy’s Amalfi Coast and Genoa in Northern Italy. In the 8th century BC the first Greek settlers arrived Sicily and established the beginning of a great history. After a long flowering Greek period (there are numerous ancient Greek temples in Sicily) Sicily was conquered by the Romans and after an Arabic stage in the Middle Ages, it was a playground for many different European royal families. Norman, German, French, Spaniards and Austrians alternately ruled the island and were the catalyst for the wonderful Baroque architecture in Sicily. Sicilians consider themselves, and their island, a separate entity. Coming from the Italian mainland, it’s very noticeable that Sicily has a different feel. The hustle and bustle of modern life is replaced with a relaxing atmosphere of a different world. With unrelenting sandy and lava beaches, picturesque coves and sulphorous mud baths, its volcanic origins are strong. Travel inland and towns and villages seem stuck in a time long forgotten, where serenity and tranquility rule. Sicily evokes backdrops from the Godfather films: scented orange and lemon groves, picture-perfect crystal blue water beaches and an amazing culinary variety of the local foods Sicily has to offer, in particular; couscous, fresh fish and various Sicilian specialities including the famous Arabic inspired ‘il cannolo’ – pastry tubes filled with a sweet ricotta cream. There are no less than six UNESCO World Heritage sites in Sicily, giving this vibrant and richly historic island plenty to occupy its many global visitors. Mount Etna, the beaches, the archaeological sites, and historic cities such as Palermo, Catania, Syracuse and Ragusa are the favourite tourist destinations, but the old town of Taormina and the neighbouring seaside resort of Giardini Naxos draw visitors from all over the world, as does the lovely seaside town Cefalù, or the hill-top city of Agrigento. Then there is also the Aeolian Islands, the Pelagie Islands and Capo d’Orlando. Many Mediterranean cruise ships stop in Sicily, and many wine tourists visit the island. Property prices have not yet reached the dizzy heights of some of the more well-known Italian regions such as central Tuscany. However, this island is slowly growing in interest from international property buyers as it invests more and more in tourism and any concerns about the legacy of Mafia connections fade. There are different seaside apartments, countryside villas and holiday complexes to suit all tastes and budgets. For example, around Campofelice di Roccella, a small charming seaside town on the northern coast, just half an hour’s drive from Palermo, prices range from around €800 to €1,000 per sqm in the town and from around €1,600 to €2,400 per sqm in holiday complex apartments that are just a stone’s throw away from the beach. This means that you could be relaxing on the golden beaches of Sicily for as little as €98,000 (for a two-bedroom 60m2 apartment). The principal city of Palermo, with it’s antique architecture and fabulous food markets and restaurants, is more expensive with prices from around €2,400 to €3,800 per sqm. The nearby trendy beach town of Mondello is also worth checking out. 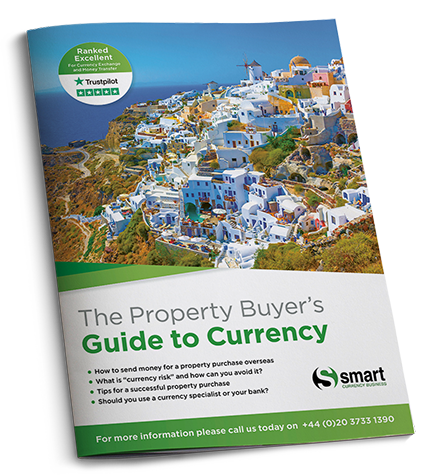 Owning a property in Sicily, whether as a permanent residence or holiday home, opens up significant opportunities for rentals, particularly in the warmer seasons right from March through to October.